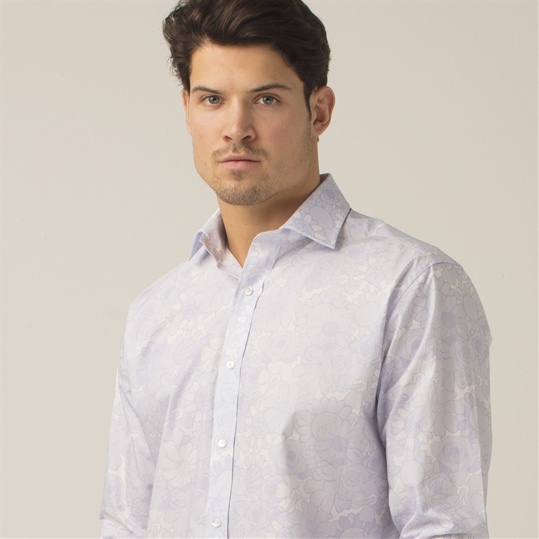 Mens long-sleeved patterned shirt, part of our celebratory 20 year collections at Gresham Blake. 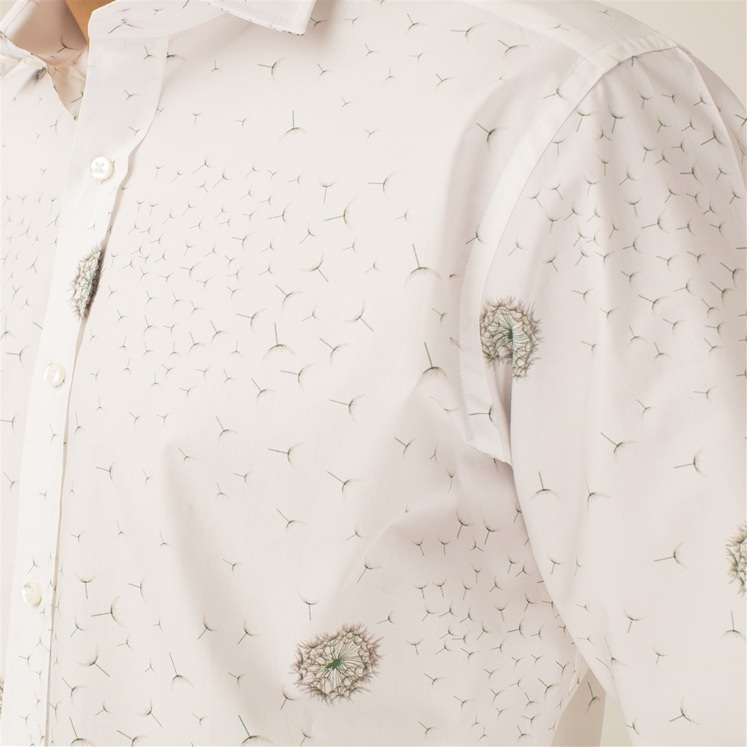 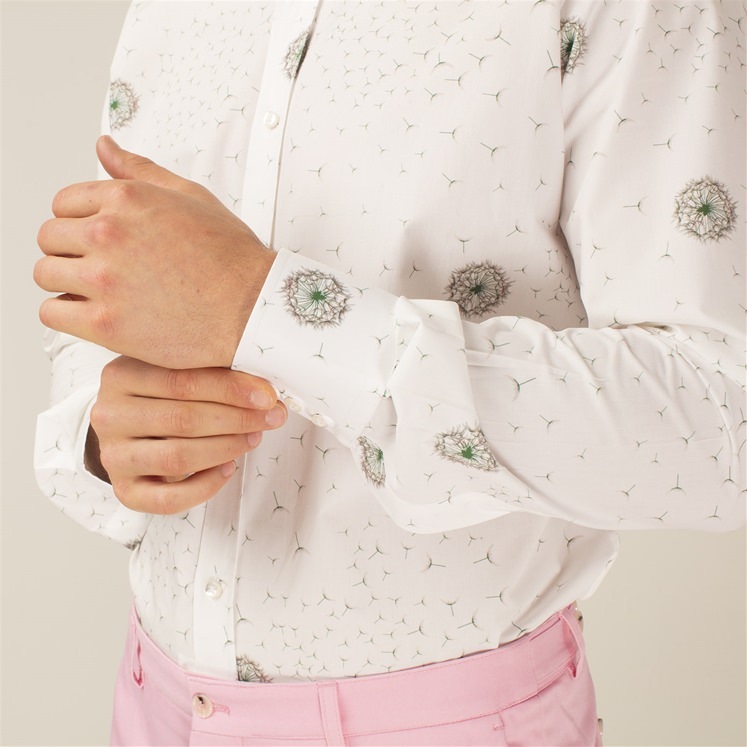 A classic white shirt with a soft & subtle design of Dandelion's flying in the wind. 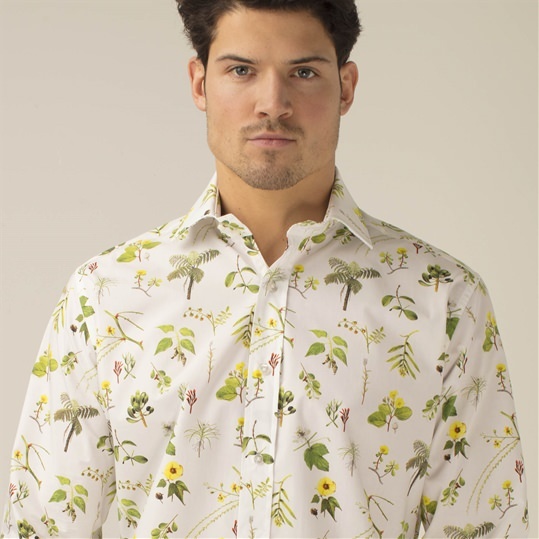 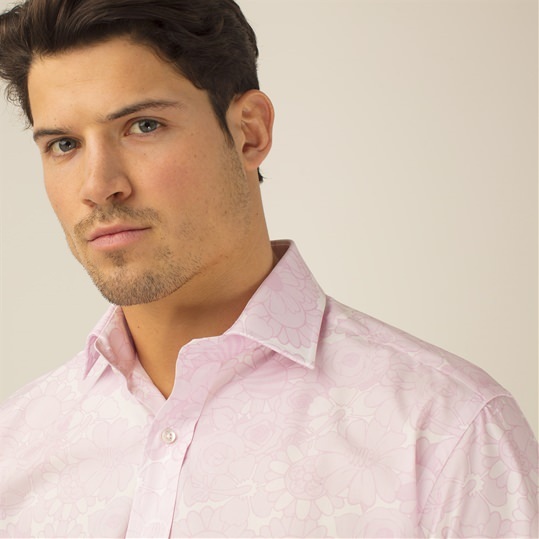 Reminiscent of those childhood summer days and the ideal shirt for a summer wedding or special occasion.